Join us Saturday, April 20 at Kings Island as we open for the 2019 season. Kings Island offers the perfect combination of world-class thrills and family attractions. 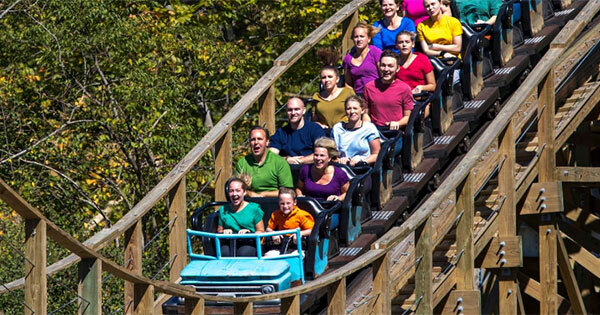 Be among the first guests of the year to experience the park’s lineup of world-class rides and attractions, like the park’s 16 roller coasters, including the world’s longest wooden (The Beast) and steel inverted (Banshee) roller coasters, Diamondback and Mystic Timbers, voted “Best New Ride” in 2017 by Amusement Today. Families can spend the perfect day together in the 17-time, award-winning Planet Snoopy kids’ area, or step back in time to periods between 245 million and 65 million years ago in Dinosaurs Alive!. Admission to Kings Island also includes Soak City – the park’s massive 33-acre waterpark! Find more events like "Opening Day at Kings Island 2019"
Amusement park located in Mason OH has more than 80 world-class rides and attractions that are perfect for thrill seekers of all ages.